To make the bottom of the box you will need 27 corks. Glue 9 corks side to side. Repeat once. Then glue 5 corks side to side and glue 2 pairs of corks lengthwise together. 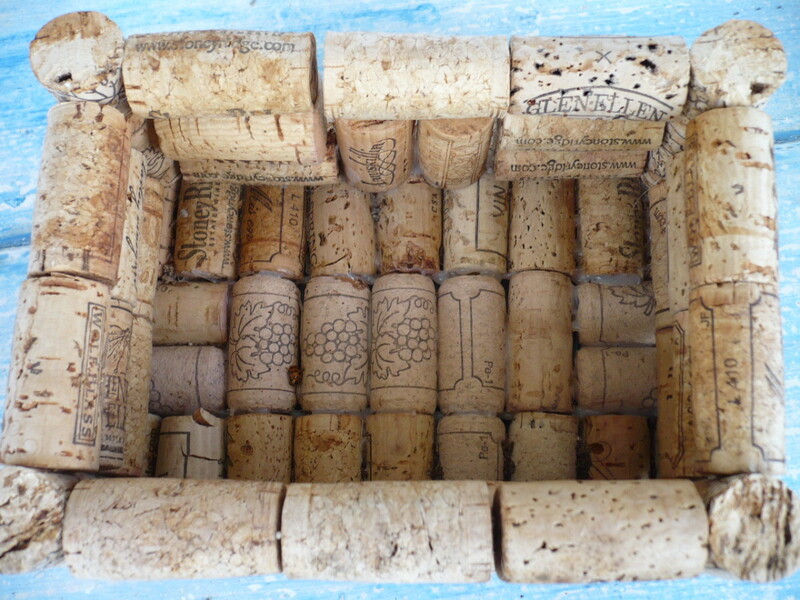 Start by laying the 9 cork strips vertically on the outsides of the bottom, with the 5-cork strip vertically in the middle of those. The 2 pairs of corks will be glued horizontally on each end of the 5-cork strip to fill in the spaces. You will need 18 corks for the ends of your planter box. Glue 3 corks lengthwise together. Repeat 3 more times. This makes 4 sets of 3 corks. Then glue 2 sets of 3 corks together end to end. Repeat once. Center sets of 6 corks on each end of the bottom from step 1 and glue on. 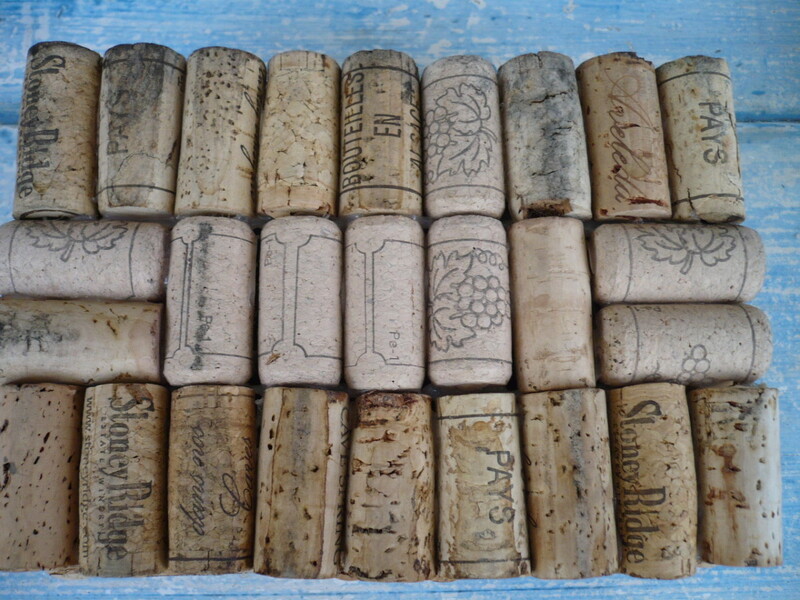 Glue a single cork upright on each corner of these 6 corks. Cut another cork in half horizontally and glue cut side up on top of corner posts. This completes your end pieces. 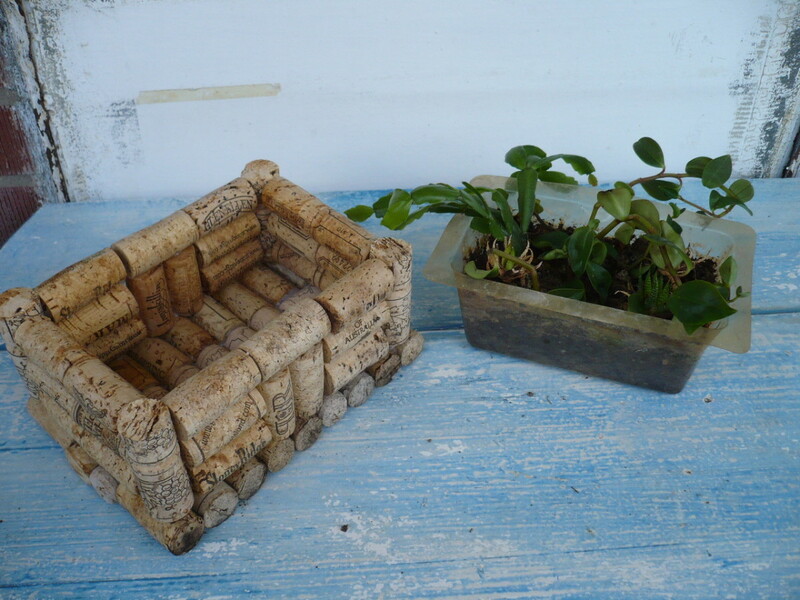 You will need 9 corks for each side of your planter box. 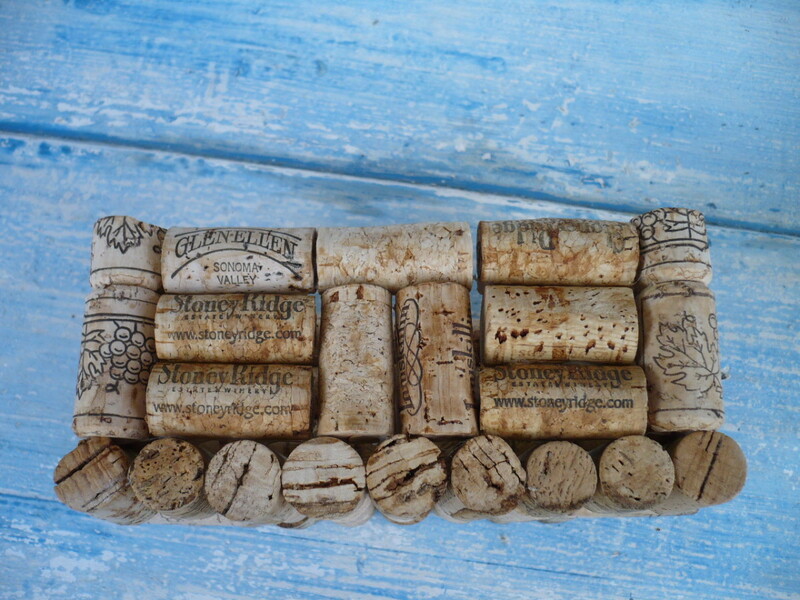 Glue 3 corks lengthwise together. Repeat 3 times to make 3 sets of 3 corks. 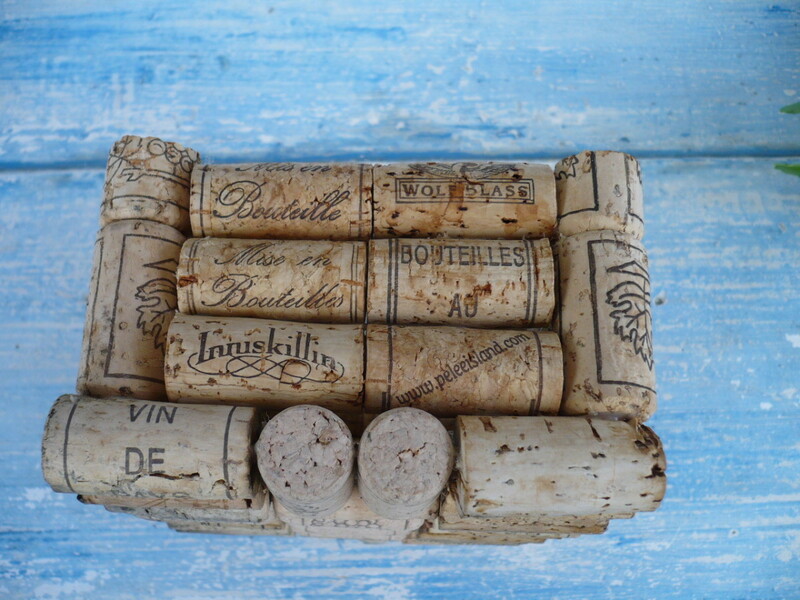 Glue the 4 sets of 3 corks horizontally to corner posts. The hole in the middle of each side will be filled with 2 corks glued in vertically and one cork horizontally on top of these and glued to the sets of 3 corks on each end. Put in the plastic insert, fill with dirt and add the plants of your choice. If you don’t have a plastic insert all you really need to do is seal all the cracks between the corks with a clear silicone rubber adhesive sealant that you can purchase at your local hardware store. 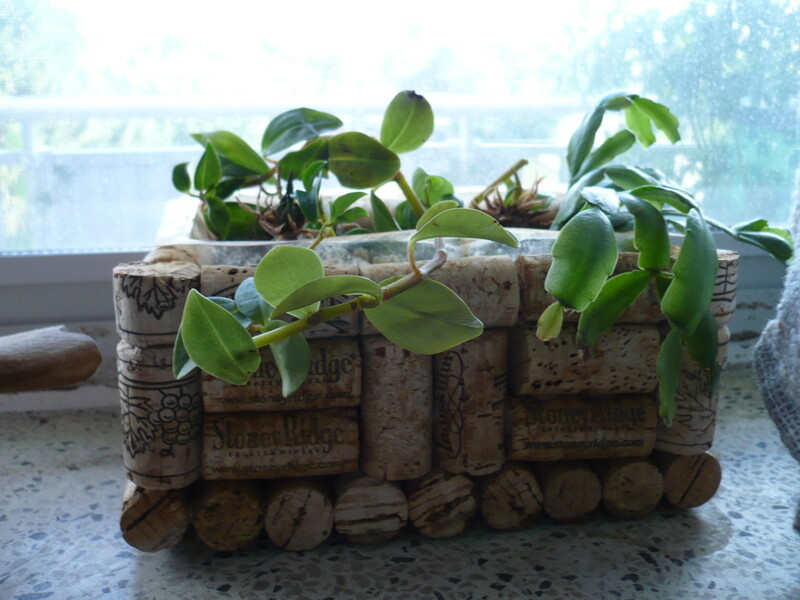 These wine bottle cork planters make great gifts for your partying friends. Get your friends to save your corks for you or you can purchase them on Amazon and your neighborhood wine making stores. Very cute. Makes me wish I'd not quit drinking! You are welcome Peg. Mine has been growing for years and I love it too. This is really a creative and green idea. I've been saving corks for a while now, and have been wondering what to do with them. Thanks for the good and practical use. Very clever. Oh thank you @Shyron E Shenko. I hope you have fun making it and enjoy your cork planter for years to come. I love mine and it still looks great. 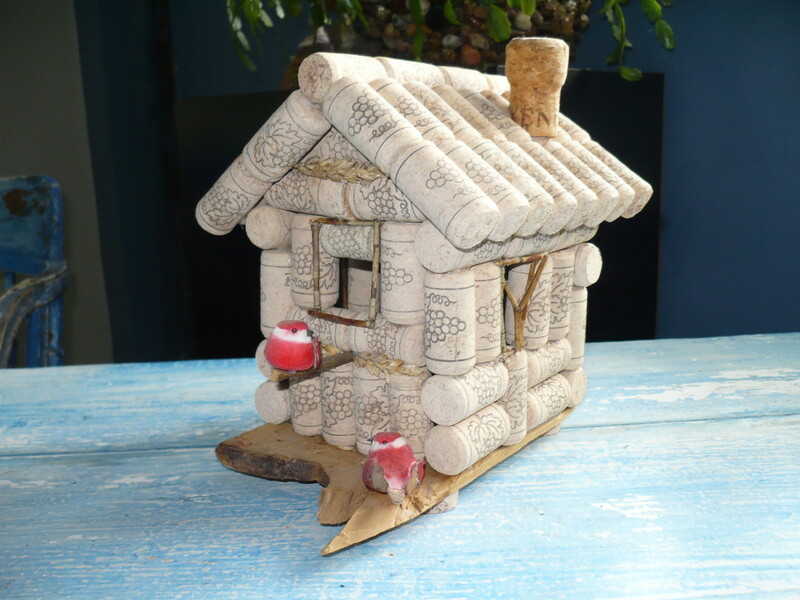 Hi Suzy, I came back to reread this, I just got some corks to make this. 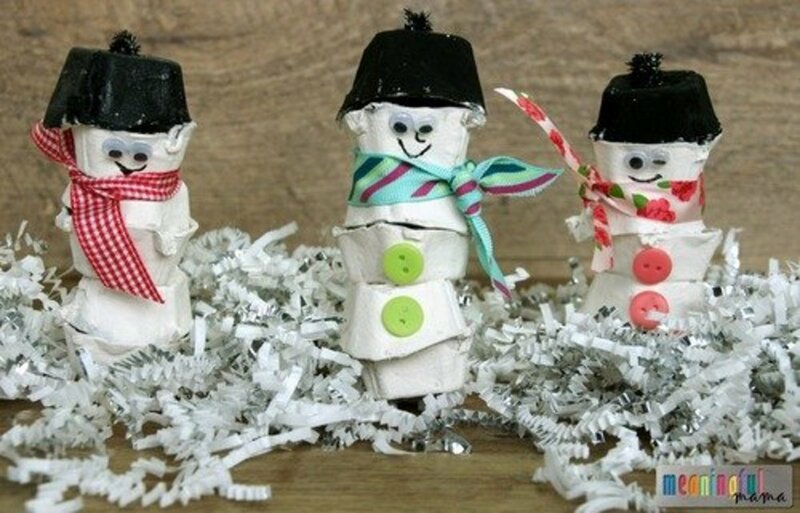 Thank you for sharing fun projects like this with us, your friends and followers. Thank you thumbi7 for sharing and voting. I appreciate your comments. I admire your patience in doing this. So true Writer Fox. I return them and make 20 cents a bottle. Thanks for the laugh and your comment. 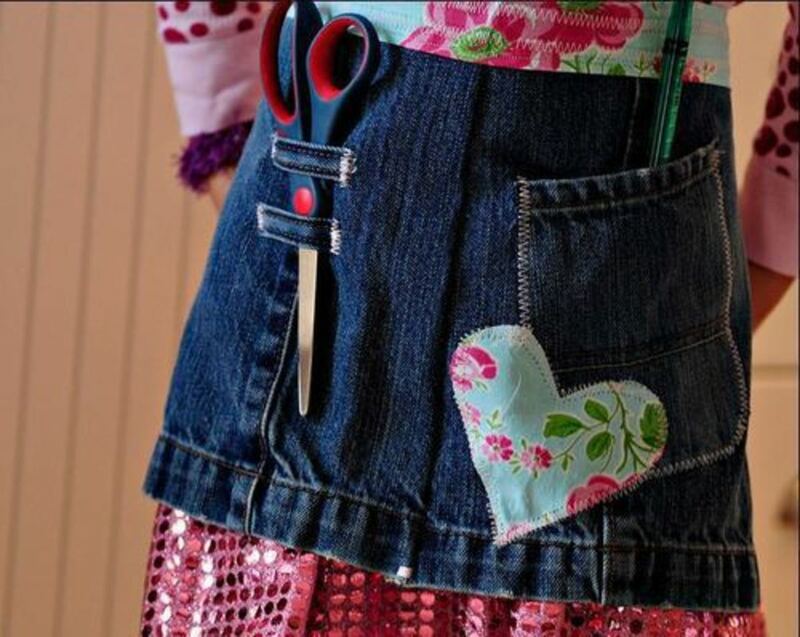 What a truly creative idea! Now, we need to find something to do with all the empty wine bottles! @Faith Reaper you can buy bags of corks at wine making stores in your town or over the internet. Thanks a lot for your comment and I really enjoyed the interview with you last week on the Hubs Weekly. God bless You ,you are a breast cancer survior. I did not know that. We are lucky to have your support here on Hubpages. @ChitrangadaSharan Thank you always for your support, votes, and sharing. You have been a loyal follower of mine and I appreciate that. 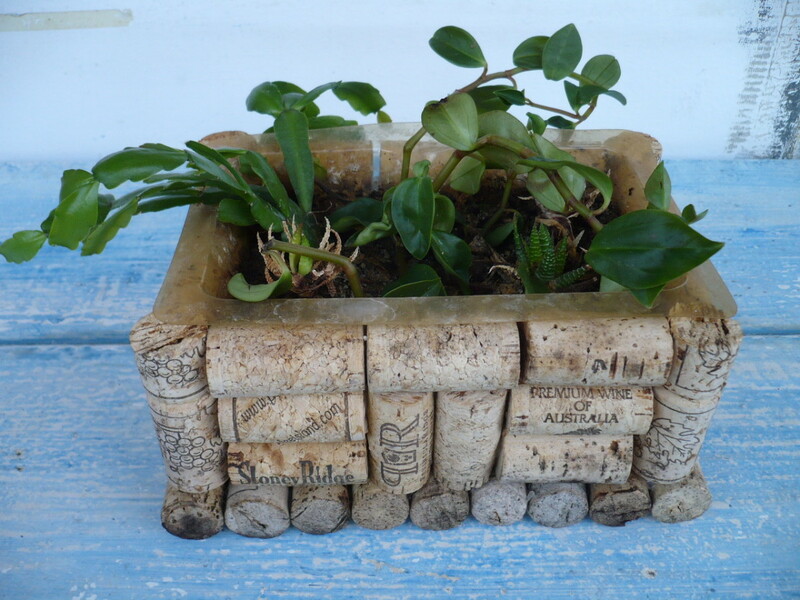 Again this is very creative use of wine bottle cork and the look of the planter is so decent. Thanks for the helpful guide and lovely pictures! Voted up and shared! 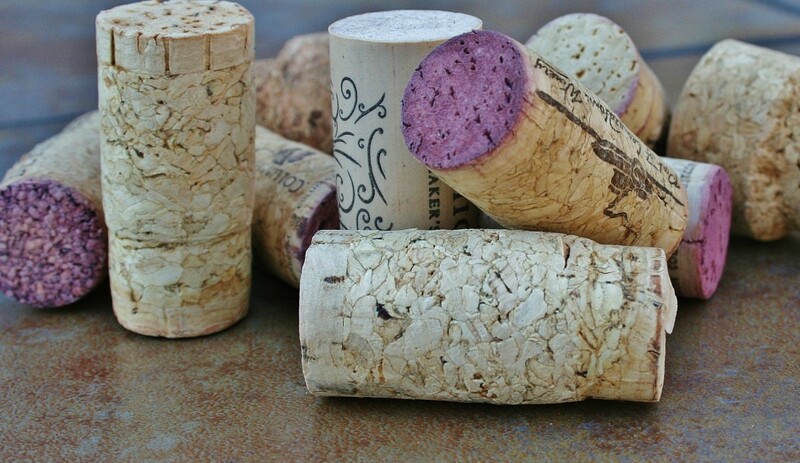 I love all of your wine cork DIY projects, and this one especially! They are all so very clever. It would take a lot of corks and a lot of wine to drink, unless there is a place one can get such and then make it. @ billybuc. Thank you for sharing and it is always my pleasure to hear from you. @ The Dirt Farmer. Thank you for your comments sharing and votes. @ Thelma Alberts. 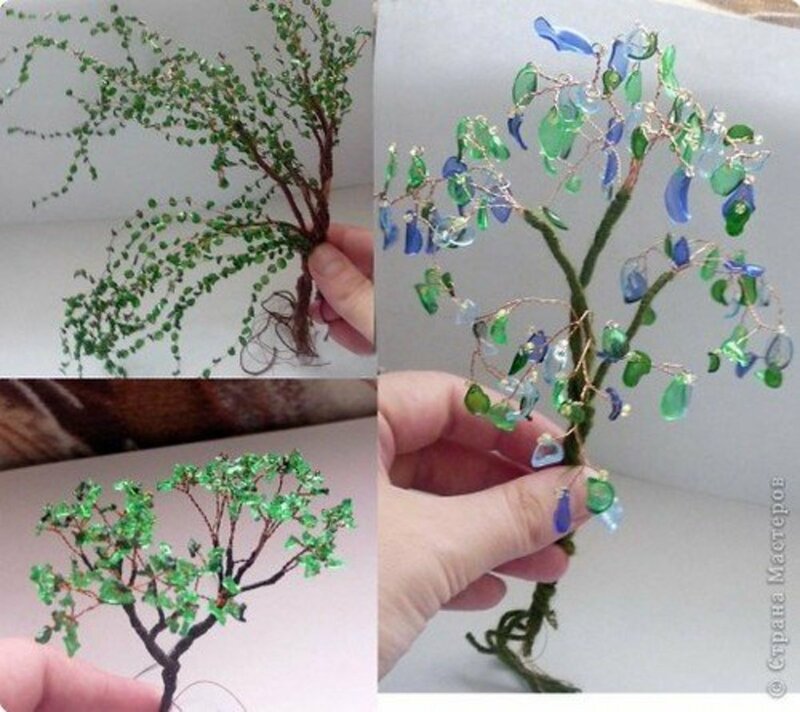 It is a very fun project for plant lovers. Thanks for your comment and cheers! Very creative! I will try this when I have enough bottle corks. Thanks for sharing. What a great idea! Shared & voted up. How very clever, Suzzy! I'm not terribly creative but even I could do this. Thanks for the tip and I'm passing it on.